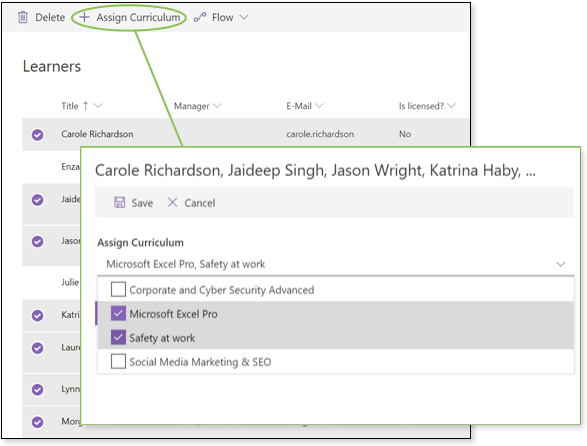 Our Office 365 application makes organizing and administrating employees' continuing professional development easy for everyone. From setting up courses, events and curriculums to managing enrollments, achievements and feedback, everything is covered. Default language is English (US). Currently also available in English (UK), English (AUS), German, French, Dutch. Make administrating and organizing employee training easier. 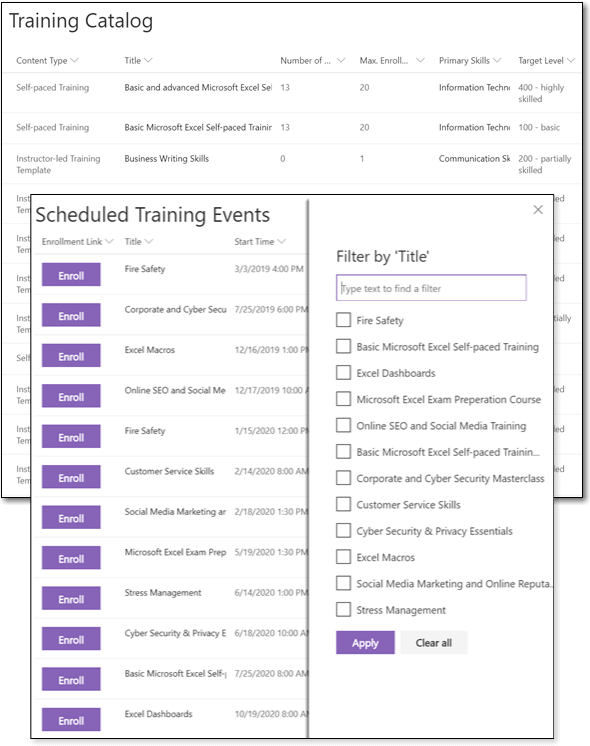 With the help of our Office 365 add-in you’ll never lose track of dates, topics, attendees or deadlines. Enroll learners in courses & exams and scheduled training events or allow them to enroll themselves. All attendees can view their appointments in a personal calendar once they have been enrolled. Helps you to fulfill your compliance regulations and safety policies, to assign training, track results and manage expirations of achievements and certificates. Organizers can manage learners, courses, exams, curriculums, scheduled training events, assignments, enrollments and achievements. It is also possible to add extra information about individual training events. For example if the number of participants is restricted, you can limit the number of registrations, enable waiting lists and wish lists. Learn more and view the organizers section in the user guide. Learners can view their assignments and achievements, view achieved points, certificates and expirations, upcoming training events and self-paced training. 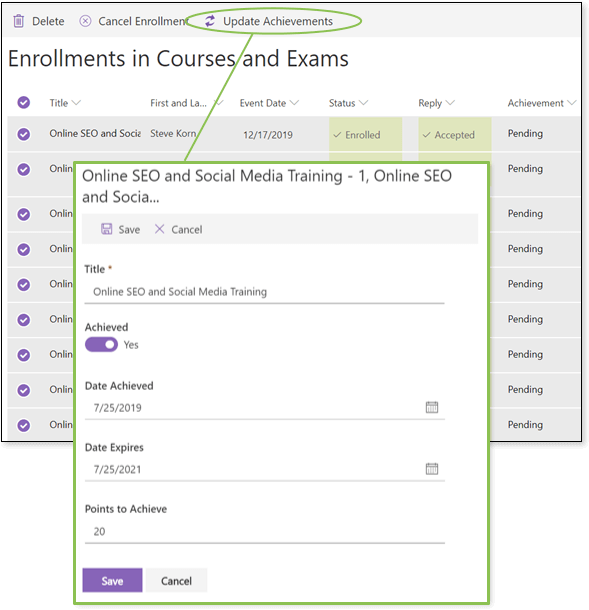 Learners can browse courses & exams and upcoming events and enroll themselves. You can also provide a responsive website for external and mobile users to allow them to sign up for your public training events. E-mail addresses are verified to make sure you communicate with their owners. Learners will receive e-mail invitations and updates to scheduled training events to keep them informed about upcoming appointments. Learn more and view the learners section in the user guide. 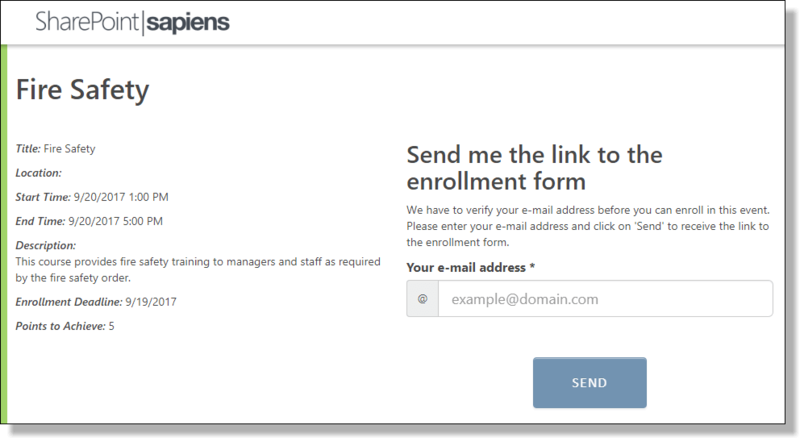 Managers can view learner profiles, assign available curriculums, courses and exams to their team members and approve enrollments. Make sure your team members attend required training to fulfill compliance and security policies. Managers can easily keep control of certificates and expirations. Learn more and view the managers section in the user guide. 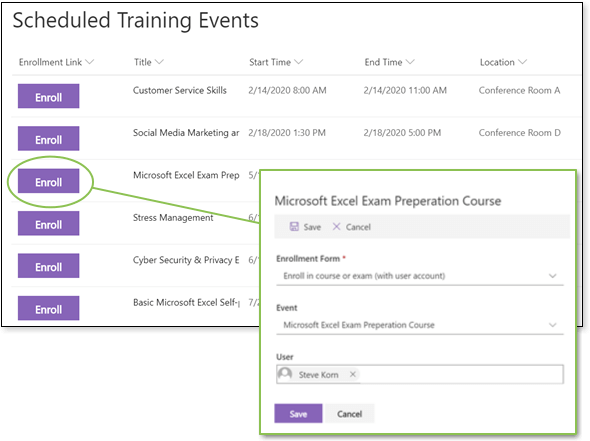 Instructors can view courses & exams and scheduled training events of their own and view and grade participants. 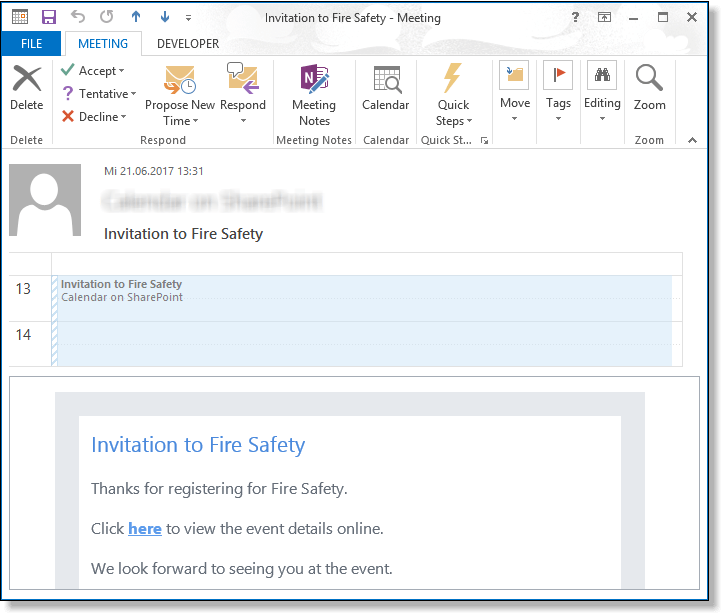 Instructors will also receive e-mail invitations and updates to their training events to keep them informed about their upcoming appointments. Learn more and view the instructors section in the user guide. It's time to see it in action!